New ‘advisories’ have included strictures against secular wedding halls and the amount of mehndi brides can apply. On Wednesday evening, Zoher’s aged mother received a call from a representative of her local mosque, who asked her an unexpected question. “He wanted to know what kind of toilet we use in our house, Western or Indian,” said Zoher, a businessman from Maharashtra’s Jalgaon city who wanted to reveal only his first name. 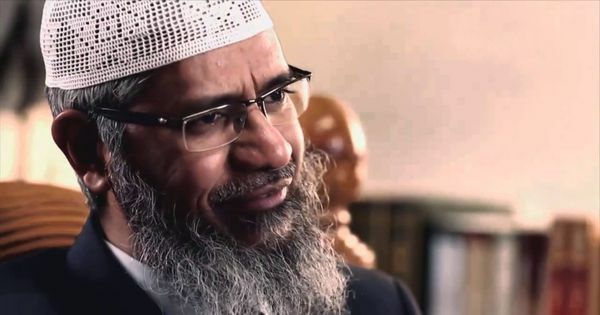 This was the second time in a week that his mother had received such a call from their Dawoodi Bohra community representatives, and Zoher was stumped. On both occasions, his mother informed the caller that the family had installed a Western-style toilet at home. “The first caller told her that the Bohra authorities were just collecting information. But the second caller asked my mother to talk to the aamil sahab,” said Zoher. As a pious member of the Dawoodi Bohra Muslim sect, Zoher’s mother did as she was told and called up her aamil or priest. The aamil asked her to explain why they had chosen a Western toilet, to list the number of family members with knee or other health problems, and told her to meet him when she went to the mosque next. Zoher is not the only Bohra baffled by the community’s toilet inquiries. In the past few weeks, Bohras in several parts of India, particularly smaller towns and cities, claim to have received phone calls or home visits by mosque authorities who allegedly asked them to shift from Western toilets to Indian-style toilets. This initiative, which a Bohra spokesperson described as part of a “wider ongoing upliftment and awareness drive”, follows close on the heels of a controversial set of rules for weddings that have created a storm in the community. These rules forbid Bohras from hosting or attending wedding functions in secular, non-Bohra party halls, ban sangeets and other dance functions and also place restrictions on the amount of mehendi the bride can apply for her wedding. In the past two weeks, several Bohras in Mumbai have lost lakhs of rupees in the process of cancelling wedding parties at the last minute and shifting their functions to Bohra community halls. The rules have disturbed a large section of the Dawoodi Bohras, a small but wealthy Gujarati Shia sect headed by spiritual leader Syedna Mufaddal Saifuddin. The community has been in the news for the past few years for a heated legal dispute over the seat of the Syedna, alleged excommunication of dissenting members and for its defence of the practice of female genital cutting. While some Bohras have described the new rules as “diktats” from the clergy, an official spokesperson for the Anjuman-e Shiate Ali, the administrative body that manages community affairs, specified that these norms are merely “advisories and instructions” for its people. However, some Bohras claim that the tone of this “toilet drive” is not that of a mere survey, because many community members have been asked to fill “inspection forms” about their home toilets. The form includes questions like, “If Western it is because of”, “whether planning to change”, “if yes, by what time” and “if no, why don’t you want to change the toilet?”. The form also asks for the “ITS number” of the head of the family. The ITS card is a radio frequency-enabled, bar-coded identity card issued for all community members, which they are required to swipe during attendance at any religious event. Many Bohras have compared the ITS card to Aadhaar, because they fear it is being used as a tool of surveillance to monitor their involvement in community life. Niyaz and Naama (names changed), a couple from Mumbai whose wedding plans have been in a state of upheaval for the past two weeks, also believe that the Bohra clergy is clamping down on their lives. Because of the new wedding restrictions, the couple had to cancel a sangeet function they had been looking forward to, and the bride’s family had to shift their reception in January from a secular hall to a clergy-approved community hall. “We have lost at least Rs 5 lakh due to the hall cancellation and because everything from the caterers to our clothes had to be changed,” said Niyaz, whose in-laws have been facing social pressure to conform to the new wedding rules. While Niyaz’s family plans to go ahead with their own reception function at the non-Bohra venue booked months in advance, he is worried that his Bohra guests may not show up. “People have been told not to attend such functions, so if they don’t come it will look so bad for us,” said Niyaz, whose friend’s wedding reception at a secular venue was cancelled at the last minute this week, because the family was unable to resist the pressure from community authorities and other relatives. “When they come to your place and tell you face-to-face not to do something, and you know they have your entire biodata [on the ITS cards], you don’t really have a choice,” said Naama. As the bride, Naama is also upset about the rules that forbid net dupattas and haldi functions, and allow mehendi to be applied only up to an inch or two below the wrist. “There is no logic to any of this. How can they tell us how much mehendi to put?” she said. The community spokesperson did not respond to specific questions about the reasons behind the new norms for mehendi and haldi functions. He also did not confirm whether Bohras had been forced to cancel pre-booked functions or been barred from attending events at secular halls. However, the spokesperson claimed that the main objective of the “advisory” asking Bohras to use community halls for wedding is to “promote egalitarianism and maintain cultural propriety”, by allowing the “rich and poor to share the same venues”. “Further, some weddings had not only become excessively opulent, but were leading to certain practices which were against our cultural ethos,” the spokesperson said. Many Bohras, however, believe these rules are an undue interference in their personal lives. Last year, the community leader had issued an edict making it mandatory for Bohra caterers to serve only a limited number of dishes at wedding feasts, and those who did not conform were made to pay fines or apologise personally to the clergy. According to some community members, the new “advisories” about toilets and weddings are an extension of the same control being exercised over the community. Unjhawala, meanwhile, describes the Bohras as becoming more “fundamentalist” over time. “It is sad that we are no longer a progressive community,” he said.